There is one more team that'll be representing Cricket West Indies. Steve Smith will the prized possession here. Once in a lifetime opportunity for Canadians to see the greatness of Afridi, Hafeez, Kamran and Tanvir. Cheap pinlicity stunt esp when you know some of the players will be involved in tri series in zimbabwe. Suspended Australia stars Steve Smith and David Warner have both been drafted for the Global T20 Canada tournament ahead of their return to competitive action. The former Australia Test captain and vice-captain were handed 12-month bans from international and first-class cricket for their roles in the ball-tampering scandal during the team's tour of South Africa earlier this year. But Smith and Warner are set to feature at Cricket Canada's inaugural Twenty20 competition later this month after the pair were selected in Monday's (AEST) draft. 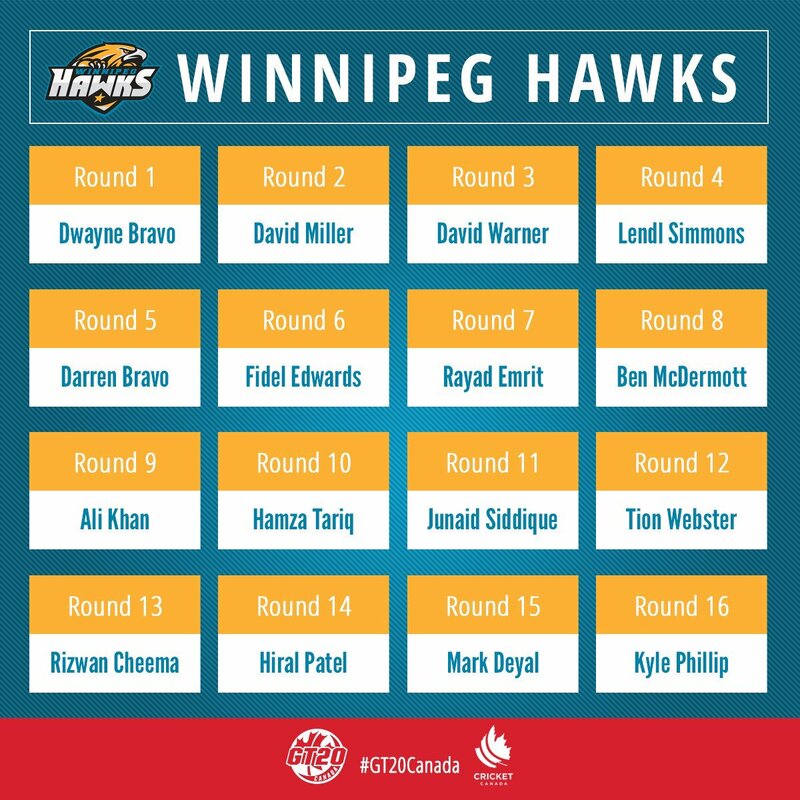 Smith was picked by Toronto Nationals in the second round, while Warner was Winnipeg Hawks' choice in the third. Warner had already confirmed his intention to play with Sydney grade side Randwick Petersham and in the NT Strike League in Darwin. 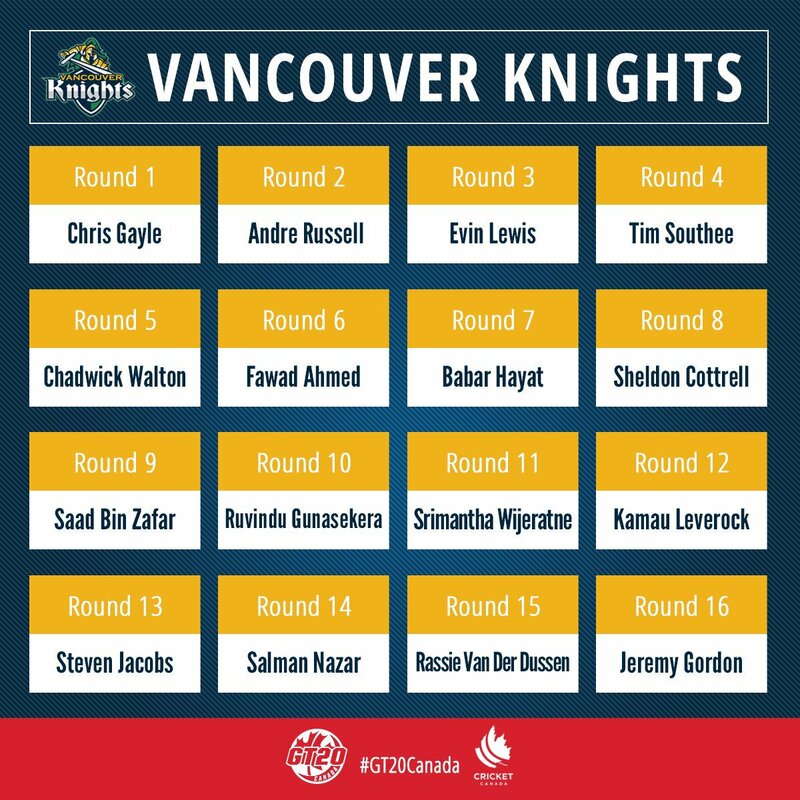 Bravo and Evin Lewis will also be involved in Canada following their selections. The six-team tournament begins on June 28. If they can play in Canada's T20 competition, consider them to be a definite part of next year's PSL. Nope,next year 10+ matches will be held in Pakistan.I doubt they will come. 11 Pakistani players will also feature in our the league including Hussain Talat,Asif Ali,Rumman Raees,Agha Salman and Usama Mir. Afridi,Hafeez and Kamran Akmal will also play. 10 matches divided by 5 teams. Probably going to miss 2/3 matches. Don't Talat, Rumman and Hafeez have PCB contracts? That's already one out of their 2-leagues-only quota. I’m hoping Warner and Smith play the PSL,but I fear they will back out like Watson,Pietersen etc. Yeah,Talat and Rumman also are contracted in the CPL.I think they will be allowed to play since they don’t play all 3 formats. Last edited by Arham_PakFan; 4th June 2018 at 04:58. How else would you promote cricket in other nations if it isn't by these sorts of means? Yes, finally some cricket games in Canada! You can bet on me being there! This is a great way to promote cricket in Canada and also will be a great experience for the young Canadian cricketers on the teams. Unless this helps promote cricket into school level of every corner of Canada then I will consider it a success or else its just a holiday for big players. But local players will love this experience. Come through if you're ready to face the heat. Last edited by Oligochaetes; 4th June 2018 at 08:49. Where is this? In Brampton? Is there a big enough desi community to fill the grounds? That will be who the tournament is pitched at. I told you just about 6 months back - Cricket is going to be big in Canada it’s just the starting, wait and see. Now Greater Toronto District League has 4 divisions - Elite, Platinum, Gold & Silver. I am “slightly” in touch with a Silver team, who plays their league at Sunney Brook ground. This year, the entry fee was $4000 for the silver league and they had to put lots of clauses to reduce the team numbers!!!! There is no “native” Canadian - actually has, 1.5mn whom are given 1st nation status. Rest are immigrants or descended of immigrants- I wrote a long explanation on that. 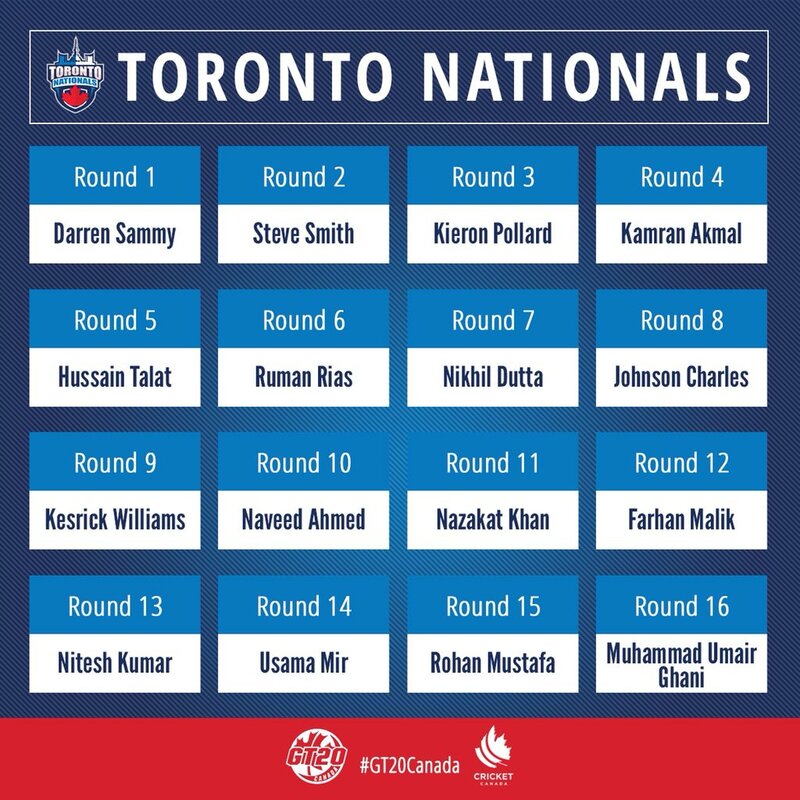 The player pool of this T20 league is just a glimpse of that economy size & potential - be honest with you and think, if you ever had imagined this pool for a Canadian T20 League (add to that WIN team) at the start. Obviously, it’ll need strong visionary leadership & proper planning to nurture cricket in Canada, but it’s possible. Canada is one of the strongest sports nation in world with the highest importance to sports & cultural (activity) developments, and the sports culture is imbedded from junior kindergarten level - people would have surprised if anyone could have told them just about 10 years back that this ice covered country will be ranked higher in field hockey than PAK, but that’s true now!!!!! Just wait & see - we need one good tournament and ONT Govt is going to build a world class stadium (& few FC standard stadium) around GTA. Premier is a bit stressed now for the election, if she comes back to office, it’s just a matter of time. I told you just about 6 months back - Cricket is going to be big in Canada😜 it’s just the starting, wait and see. Now Greater Toronto District League has 4 divisions - Elite, Platinum, Gold & Silver. I am “slightly” in touch with a Silver team, who plays their league at Sunney Brook ground. This year, the entry fee was $4000 for the silver league and they had to put lots of clauses to reduce the team numbers!!!! Unlike you, I dont live in delusional world. Cricket will never be popular in Canada not in next 20 years. Desis alone will not popularise cricket in Canada. There are about 2+Million or so desis in Canada, mostly in Ontario. Can they fill the ground? Yes they can. But the real problem is lack of infrastructre(stadium) in Canada. Bluejays dome can be use to host Cricket games but it will most likely collide with their schedule. Majority of Indians like me will fill the stands if Indian superstars like Kohli is gonna play or else I wont bother watching some old retired slogger making money in some random T20 league. Pakistani fans might filled the stands for upcoming T20 league and maybe some BD fans, but most Indians will be disinterested as there wont be any Indian players. Fair enough - just give an honest answer : did you ever imagine this player pool for the T20 league? This is just business for some filty rich desis to milk money. Lemme ask you onething, International cricket used to play in Toronto regularly between India-Pakistan, how much did it that help to grow games in Canada? Absolute Zilch. In Saskatchewan apart from desis, others dont even know there is a game called Cricket. Heck they are so into their Football and Hockey that even popular games like Baseball and Basketball dont get following, and here we are talking about growing cricket. Lets be realistic here, Cricket will never be top sport in Canada, they will continue to be minor sport where only particular section of society play/watch. Heck there is not a single broadcaster in Canada that shows Cricket live on Tv, the only way for us Canadians to watch cricket is via stream. The only time i recall someone broadcasting live games was IPL that too was discontinued. Cricket might be played in schools in GTA, but outside of that no cares. Hockey is to them what cricket is to us desis. This is a starting point to promote and grow the game in Canada on a commercial level. Nobody is expecting TSN and Sportsnet to start broadcasting the games. Cricket will probably not become a top sport in Canada and yes Hockey rules, but that doesn't mean it can't gain a decent following and get some traction with more tournaments and leagues like this. How do you expect people in Saskatchewan to know what cricket is if it's never been played or shown to them before? This is a good starting point and I'm a bit surprised at all the negativity. It's like people want 50,000 people to pack a stadium and watch a test match in Toronto right off the bat. If cricket can grow into a well established Tier II or Tier III sport in Canada that would be a big achievement and viewed as a success. 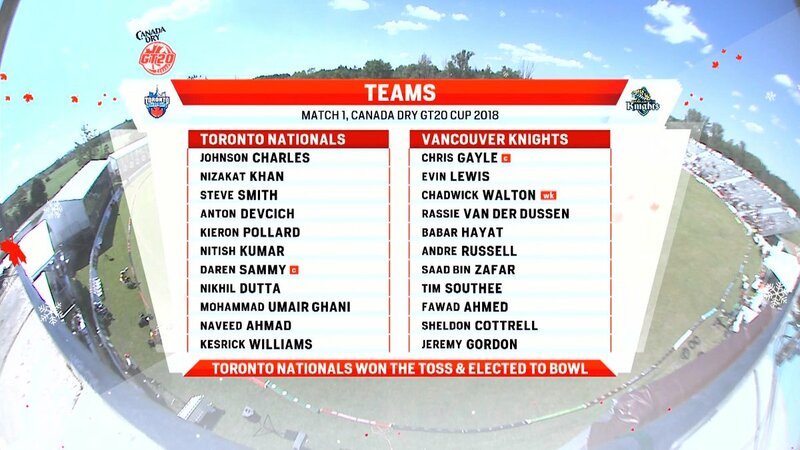 Not exactly great teams there but I'll be excited to finally watch some cricket in Canada. Wrong example in both cases - Canada played Soccer WC in 1986, and now still we are failing to make the first cut against Panama, El Salvador, Costa Rica & Honduras .... because it's stuck after a certain level. May be 2026 WC in Canada can take it to next level. IND-PAK Sahara cup stopped after 3 seasons, therefore continuation wasn't there. Besides, in mid 90s, population (immigrants) from Cricketing nations were less than 50K in GTA, now it's over 1 mn and fastest growing community. Saskatchewan example actually perfectly explains what I am saying. That sate (& City) are the area of Canada with highest % of East European immigrants - Russians, Ukrainians, Polish, Romanians, Lithuanians, Armenians and Belorussians + a good number of Germans from Communist era. These people and their next generation are more into soccer, ice hockey than Baseball & Basketball (Manitoba as well actually). If that's possible for a State with half the population of GTA, why with 2mn+ cricket playing population (of countries) can't make it? One point I see you making every time is International standard stadium - mate, how long does it take to build a stadium? I am from Bangladesh and we had one Stadium at Dhaka from 1955, which was shared for Cricket and Soccer for 50+ years. In last 10 years, we have built 6 cricket specific dedicated grounds and all of those are Test status - despite the economic reality and extreme scarcity of land. Regarding broadcasting, I think you are ill informed or taking a chance - sorry. I have seen IPL in Sportsnet world in 2014; and now through IP Tv, basically every cricket channel is available and quite cheap. A Rogers/Bell premium connection costs around $60 + Tax; for an IP Tv, it costs now around $15/month + one time subscription, through which you can watch a set of channels from your country and sports channels of your own interest. 2015 WC was broadcast by Sportsnet, 2019 will be broadcast by 2 channels - Sportsnet, and ATN. Sportsnet discontinued IPL purely because of Canadian telecommunication law, that doesn't allow blocking of live streaming - instead of paying extra $25/month for Sportsnet world, people can watch cricket free from streaming - why should Rogers media continue that? Besides, we (Mobile operators) have promoted Broadband as such that it's cannibalizing other services - TV channels are a losing concern for Bell & Rogers; when you can get 500Mbps download speed for unlimited data, for a monthly price of $35!!!!!! Add Netflix & few other such, add Amazon sticker for a total cost of $25-30/month, add $15 for IP TV - you are basically getting access to almost 1000 global channels for less than $60/month - that too without any contract! I have taken Rogers Tv for 2 months, for total $60, because CBC & TSN is broadcasting WC 2018, and I'll discontinue for a months, until EPL season starts. Don't catch me for minor points on this - but you can guess, what is my sources of those prices. I can tell you that one Russian channel shows their own game in Canada - Bandy. Anyway, you are trying to prove Cricket has no future in Canada - I am trying to give you counter logic for each of your concerns; it's up to you to accept or ignore. Using Saskatchewan is a wrong example here, we have a proper Cricket League going on, maybe not as good as Toronto Premier Division but we are not too far behind. Locals are not playing Cricket atm but they do know what exactly is cricket. Cricket will be known in GTA only mosty due to desi population. My point im making is Cricket will not become top 3 sport in Canada cause it has no history nor locals find any connection. Saskatchewan example completely justifies as in Canada hockey is only game that binds the entire nation and I dont see any other sport challenging that top spot. The other three or four sports that have significant following is Baseball, Basketball, and CFL. Cricket is very popular among immigrant desis or first generation, but as newer generation will be more inclined towards other sports. I myself find Baseball more attractive than useless bilaterals that we are seeing in cricket these days. Apart from World events and IPL, i find other series pretty meaningless. Are you sure Cricket is among top 3 sports in it's birth land England these days? It doesn't need to be actually, GTA has enough cricket loving base for the game to survive. If you are asking Canada to compete like AUS, SAF or NZ in cricket, it won't happen ever because the game itself isn't growing much. Also, to develop this game one needs to play long FC games for 3/4 days and 7-8 hours/day, which in this millennium impossible to introduce in a new country. But, cricket has good market and a decent following - one can build on that. For an example I can tell you that if the upcoming Asia Cup is played in Canada, it'll be super hit. LeBronto has a pretty good team. I didn't know that. I do know, they play lots of cricket at Vancouver (when it doesn't rain) but didn't know about Saskatchewan. Is there any league at Regina as well? First Canada need to build at least two 30-35K seater worldclass stadiums in order to host such a series. Secondly, it wont happen even if they get the infrastructure as games will be broadcasted when S Asia will be asleep, meaning lot of loss in revenue. No broadcaster would want to lose money. Even if they host D/N games it wont garner same eyeballs. As far as ur first point that Cricket will survive in GTA alone then i have no doubt with it, Canada will be like a market where some Intl teams might play some exhibition games and/or exhibition Franchise league games, apart from Canadian T20 league. Canada will never have top quality international team due to lack of talent plus funds going into game. Those who represent Canada actually have full time jobs that sums up the condition of game in Canada. You wont see full time hockey player having full time job. Cricket will be like field hockey, they will always take part in world events mostly consists of desis but will never achieve anything significant. Just a team made up of bunch of desis who pad up during weekends. There are some local teams playing in Regina ( I was part of one team and we mostly practise in UoR indoor arena with carpet pitch) but most of them are just casual players. Hardly anyone have fitness or skills to represent Canada at international level. Lets put it this way, they play for fun and kinda like African kids play basketball on their backyard court. Stadium explanation I gave few times, won't reiterate. But, broadcasting timing is exactly where I think the opportunity lies, for T20s definitely. Besides, in South Asia, we have fixed weekend - Friday to Sunday (Friday in BD - God knows when they'll change it), which gives another unique opportunity - schedule BD & AFG games (ODI) even on Thursday, so that people can watch it till 4 AM Friday morning, while others can start FRI/SAT/SUN day - keep MON-WED free. Also, in Canada, most immigrants (people) don't have a fixed weekends - they work 5 days out of 7, and lots of people actually work in SAT/SUN - which means, even if you organize games on working days, there'll be people attending. In Canada, you have flexi hours, half day work ... which isn't there in South Asia, and it takes 30-45 minutes for most people to reach home from work/school unlike often 2/3 hours in major South Asian cities - on game days, people can take couple of hours early break, or schedule office sometimes between 6am to 8pm (I actually often do from 7 AM to 3PM and my wife 10 to 6....), there are home office options .... and you can exchange your schedule with co workers, just in case. Look, I do agree that expanding cricket in Canada like South Asia might be tough or near impossible, and this country will never be ENG/AUS/IND/PAK/BD/SRL of cricket, but hosting top teams for broadcasting isn't a big deal, trust me. Hosting a Night fixture for T20 will not be a problem but Odi will certainly not garner as much interest as it would if it was played in similar time zone. You expect an avg Indian fan to wake up 5 am to watch an Asia cup? Lol you really dont know much about Indian fans. Infact most Indians wont even go a mile to watch an Asia cup as it has absolute no importance among us (won the cup 6x already). Maybe its different for BD fans. As far hosting games in Canada, they can certainly host an exhibition games on long weekend like July 1st or other days in month of July or August when weather is ideal for cricket. Now Im not sure where you heard that Ontario government is building Cricket stadium but I will believe when its done. Maybe not an cricket stadium but a multi purpose olympic stadium that can be use to host cricket games. Why talk nonsense just to prove something you are failing to prove every-time? These days it has become a fashion to take a dig at BD every time some one can't argue with logic. Do you think bringing Bangladesh or it's fans help this topic. In 70's, 60K paid crowd went to Eden to see IND winning against ENG in a Test match, within 30 minutes. Indian fans will wake up to watch IND-PAK game, be it in Asia Cup or WC or bilateral series; would have done it with SRL as well unless two boards made it quarterly affair and SRL had been that 90s like team, which literally toyed with Indian pacers for a good few years, and will see BD game as well if we start to compete regularly. Brazil has won WC 5 times, and Uruguay has won Copa how many times I forgot - still I don't see any lack of interest. Do you think Real's fan wouldn't bother for CL Final if they make it for the 4th time in a row? Probably we both have same level of clue what an average Indian fan will do - unless you can prove otherwise, please stick on to the topic. We can discuss civilized manners without dragging Bangladesh here, otherwise don't bother - I accept whatever you think is correct. How About you let us Indian fans think for ourselves. Lastly, i wasnt taking a dig at BD, tbh i could care less about your team. It just my observation that BD fans are extra emotional with Asia cup which as i said could be due to you guys never won the cup before. Comparing Brazil with World cup and India with Asia cup is like comparing apple with oranges. An avg Indian fan will follow a Worldcup closely but the passion will be lacking for Asia cup, heck even our players didnt show any excitement winning the cup in BD. Just shows the importance of Asia cup. Anyhow lets not derail the thread, if you want to talk about Indian view on Asia cup create a new thread and most Indian fans will provide their viewpoint. Lets stick to Cricket in Canada which at this point is predominantly desi game. I do wish there comes a day when a local Canadian kid takes up cricket like we see with Ice Hockey. Can anyone in Toronto provide any pictures of how this ground looks now? Google Maps makes the Maple Leaf Cricket Ground look worse than a club cricket ground. How are the parking arrangements, sitting arrangements, etc.? does anyone know what the kit looks like and if they will be for sale. These T20 leagues really have an agenda against me. Firstly, as everyone knows, I dislike these mickey mouse matches quite a bit but on top of that, it seems like all the teams/cities that I have a connection with and at least some desire to support, end up signing players that do not appeal to me at all. Happens with the Hyderabad team in the IPL, the Karachi team in the PSL and now Toronto has signed Kamran Akmal. It's basically a club cricket ground. This is Canada, not England. Parking is fine, seating arrangements are mediocre but on a nice summer day, the greenery makes it a pleasant sight. Right but I saw in am article that they are increasing the seating capacity to 7k. Considering this would be the first official T20 game in Canada I'm sure they would be doing some extra preparation to set the mark. I run a startup and one of the things we tried doing was selling our services to NRI (Non resident Indians) market. Extrapolating my experience, i don't think any business built around copying the Indian experience to another country targeting NRIs works. For a business to be scalable, the locals in that country have to adopt the service, else it ends up being another failed experiment. A couple of years back, SRT also organised some random tournament in USA in the name of taking the game global. Baring few overexcited Indians and Pakistanis, i don't think any real locals attended the game. My view is all such so called global tournaments are just a way to make one time money for the promoters. Whether they do that by finding investors who believe in this crap or through fixing is another thing, but i am quite sure this is the first and last year of this Canada tournament. ST JOHN’S, Antigua – Cricket West Indies now has a WINDIES B squad. 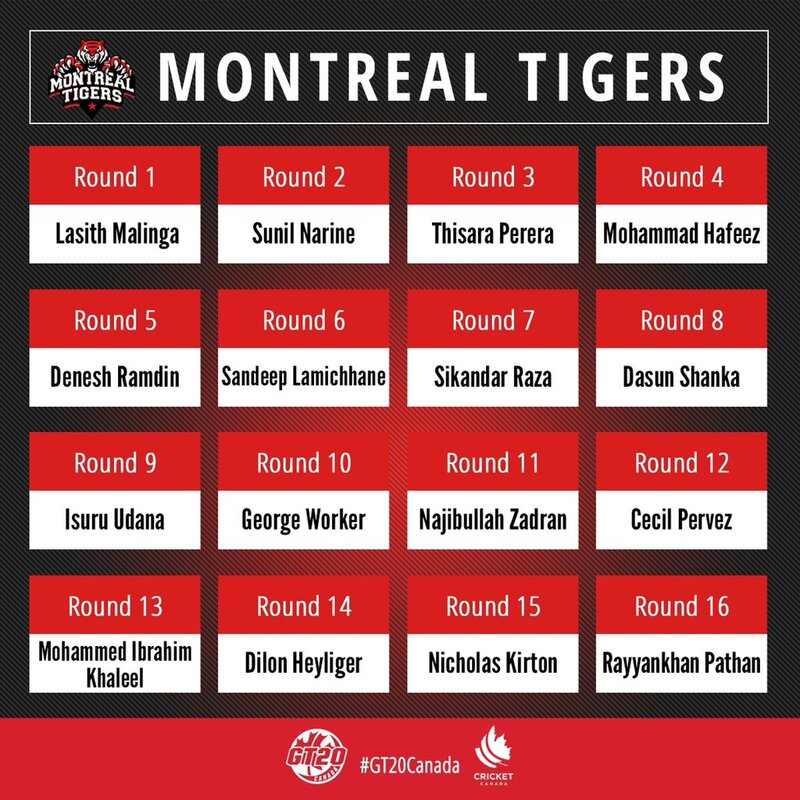 That is the squad that has been assembled to travel to Canada for the inaugural Global T20 Canada League which will run from June 28 to July 15. The Global T20 Canada league will see 22 matches played in a round-robin format followed by playoffs and the championship match to be held on July 15. All contests will take place at Maple Leaf Cricket Club in Toronto. The contingent is set to leave the region on June 14. Last edited by hadi123; 12th June 2018 at 16:18. 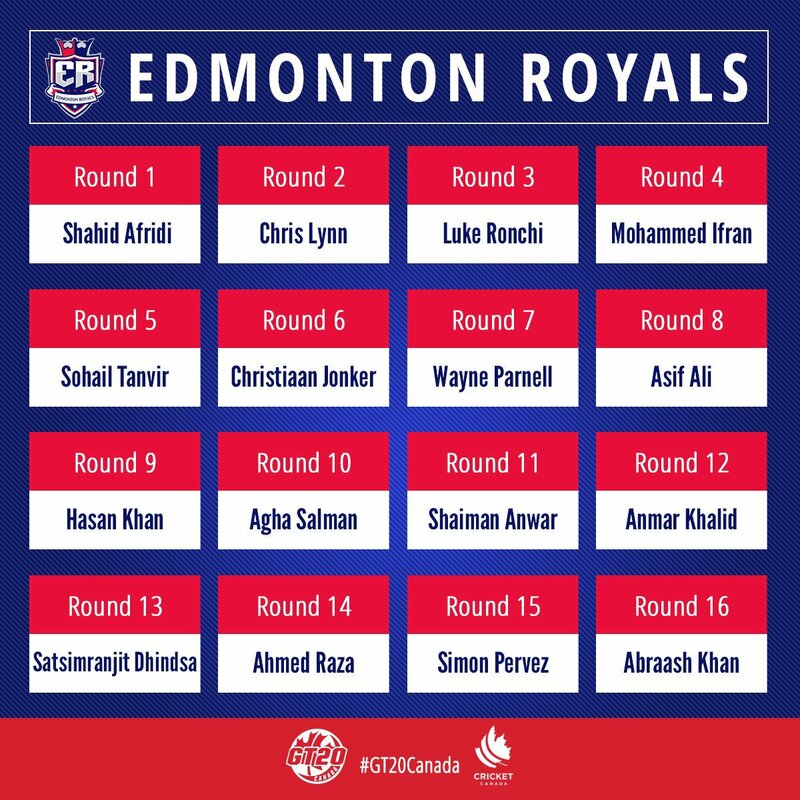 Asif Ali(Edmonton Royals),Hussain Talat(Toronto Nationals) and Mohammad Hafeez(Montreal Tigers),who were supposed to play in the competition,have been named in the Pakistan squad for the T20I tri-series in Zimbabwe. Last edited by Arham_PakFan; 24th June 2018 at 13:22. Mickey likes tailenders who can bat a bit so hafeez fits the bill. On a serious note we need to get rid of this cheater. I just can't stand him anymore awful Batsmen and a shameless cheater. If he plays I hope he bags ducks every game. Last edited by saeed5646; 24th June 2018 at 14:29. TORONTO — Cricket Canada has high hopes for the Global T20 Canada tournament. "I believe this is a beginning of building Canada as a cricket nation," said Canada Cricket president Ranjit Saini. The inaugural six-team tournament opens Thursday and runs through July 15 with 96 cricketers drawn from around the globe and across Canada. With broadcast partners only announced Tuesday, it feels like organizers have arrived at the starting line huffing and puffing. "We're down the rabbit-hole now," said tournament director Jason Harper. "For us there's a market," he added. "There's interest by the international cricket community, there's interest by the players and there's interest by the fans here. Why not? It's a fact-finding mission. We'll see how it goes. It will develop." A diplomatic Saini said he was "generally satisfied" by the arrangements to date, saying they would improve in time. West Indies' Darren Sammy (Toronto), Chris Gayle (Vancouver) and Dwayne Bravo (Winnipeg), Sri Lanka's Lasith Malinga (Montreal) and Pakistan's Shahid Afridi (Edmonton) offer star power as team captains. Disgraced former Australia captain Steve Smith (Toronto) and vice-captain David Warner (Winnipeg) offer some sizzle as they return to action after a ball-tampering scandal in South Africa that earned them one-year bans from Cricket Australia — although they are allowed to play club cricket overseas. Canadians who want to watch will have to sign up for CBN, one of Asian Television Network's 55 channels here, or watch online via Hotstar. There are also broadcast partners in India, Pakistan, Bangladesh, the Middle East, Caribbean, Australia and United Kingdom. A normal T20 match lasts between three and 3 1/2 hours — "about the same time as a baseball game but there's a lot more happening during the T20 game," Harper notes. "It's vibrant, it's loud, it's colourful, it's consistent action," he said. "There could be a six, a four, a wicket at any moment. Because in those 120 balls the batting team is trying to get as many runs as possible and in those 120 balls the bowling team is trying to get as many wickets as possible ... That adds an element of theatre to the game — that big finish." Tickets start at $30 and go all the way up to $22,124 for an air conditioned box that seats 20. A season pass for one will cost you from $475 to $1,555 depending on what package you pick. Saini said the Canadian governing body had been looking for this kind of project the last 10 years. Cricket Canada met with Mercuri officials during the 2011 Cricket World Cup in India with Mercuri coming back to them last year. A November meeting in New York produced a memorandum of understanding that turned into a 25-year licensing agreement. Cricket Canada gets a lump payment each year in addition to Mercuri's player development help. The five Canadian teams each have a salary budget of US$550,000 with individual pay ranging from $100,000 to $3,000 depending on where the player was drafted. Cricket West Indies is taking care of its own squad. Compare those figures to the elite Indian Premier League, whose teams have a $17-million salary cap. Asked why Mercuri choose Canada, Harper said: "Look at the demographics. Add to that the popularity of T20, "proven to be tailored for television, the most exciting version of the game," according to Harper. "We sat with Cricket Canada and they were confident, they convinced us that we have enough fans here, we have enough people here who we can build a tournament around. Because you can't start a business without a market." Bumping heads with soccer's World Cup isn't ideal but Harper said organizers had no choice if they wanted to find a window. "International cricket and the T20 game has grown so fast. We're competing with Australia, India, the Caribbean — which is right after us — and all the other leagues around the world ... We needed to see where we could fit in. And then in Canada, weather plays a factor. "This is the only slot we could find ourselves in for Canada. If we had waited, we'd probably have to play in September, October and there's too much risk there with the elements. We fought to get ourselves into this window, we'll see if it pays dividends for us." "We aren't going in that direction yet, we're starting small," Harper said. "Although this is a blockbuster strategy, this is a blockbuster small movie. We're starting with 7,000 seats." Most will be uncovered bleachers although they hope to expand in years to come with approval from local authorities. Looking forward to this tournament.It will be interesting to see cricket in Canada. Toronto Nationals vs Vancouver Knights today. Toronto win the toss and choose to bowl. Gayle and Lewis will open the batting for Vancouver. Naveed Ahmed will open the bowling for Toronto. No Paks playing apart from Umair? What channel in the UK? Surprised this is actually happening lol, thought it would be a failure. How did they manage to rope in so many decent players? "Free Sports" apparently. Whatever that may be. What in the world is Free Sports? Gayle and Walton both gone inside 7 overs. Where is the venue, is it somewhere above Richmond Hill. I like how the one cheerleader is on her phone, haha! I should be planning to go there this or next weekend. Hopefully it is not sold out for the weekends. Sold out? Lol. I doubt anyone is going there. Might look like a UAE Test match if anything. The stands are pretty empty, I would say 35% full at most. But it's a Thursday game and no real Pakistani superstars, I'm sure the Afridi game will draw the crowds. The prices are high as well i guess.